If you think that buying a high-quality new home in Sutton, South West London, is unaffordable, So Resi Sutton may change your mind. 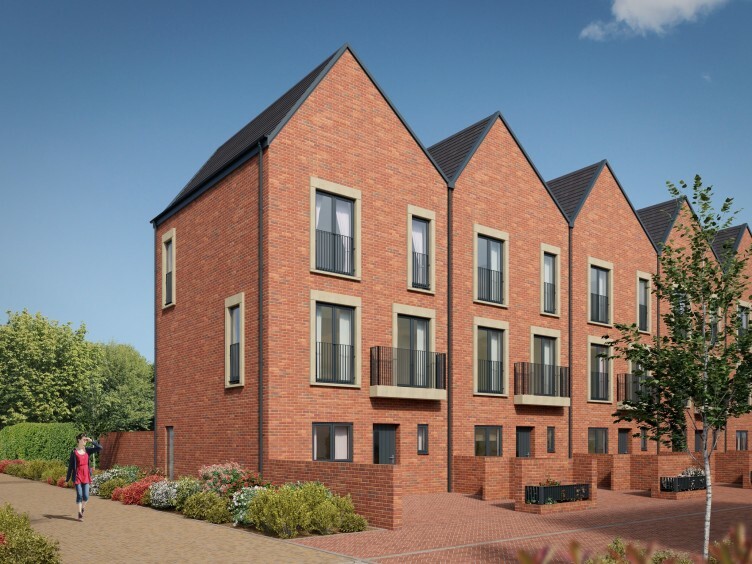 This collection of one, two and three-bedroom apartments is part of the landmark development Sutton Point, and you could buy a 25% share in a one-bedroom home for as little as £73,750 (full market value £295,000) with a ten per cent deposit of just £7,375. Through shared ownership, homebuyers pay straightforward monthly payments, which combine the mortgage on the share they have purchased and a payment to So Resi on the rest. They also pay a service charge. 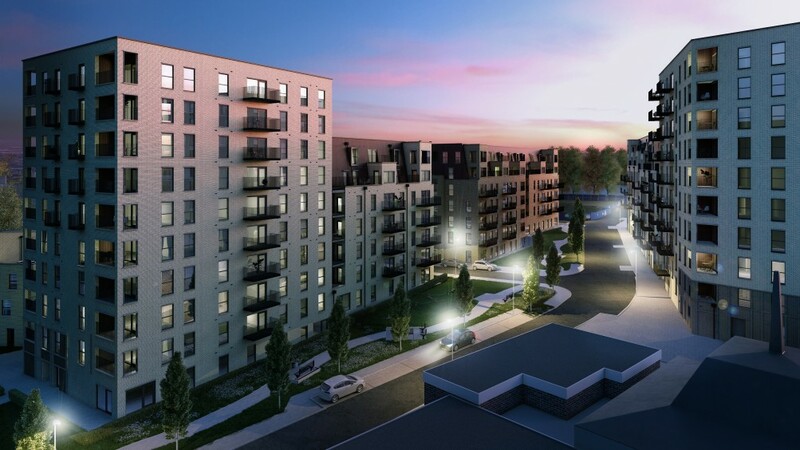 The homes at So Resi Sutton are in the West Tower of Sutton Point, an exciting £90m mixed-use development by CNM Estates. Due for completion later this year, Sutton Point will include shops, restaurants, a health and fitness centre and children’s play area. Inside the homes, the contemporary open-plan living/dining space is light and airy with full height windows; the area opens out onto a balcony. 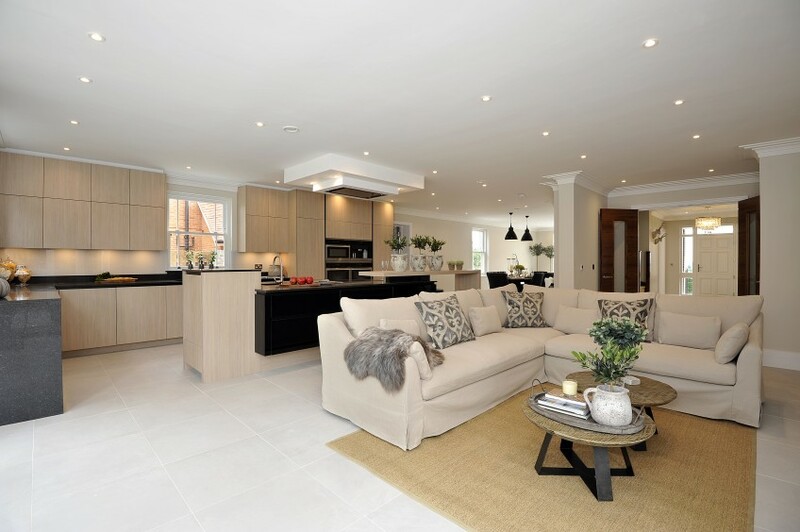 The excellent specification includes an elegant white Symphony Manhattan kitchen fitted with the latest appliances, including ceramic floor tiles in the kitchen and bathroom, fitted wardrobes in the master bedroom as well as underfloor heating throughout. On selected homes, allocated parking spaces are located in the underground car park and a cycle store is also provided. Commuting could not be easier from Sutton Station, which is just a couple of minutes’ walk away. Trains to London Victoria take as little as 25 minutes and direct trains reach Gatwick in around 45 minutes. The High Street, full of restaurants and shops, is just a few minutes’ walk from So Resi Sutton. Also nearby is a number of green open spaces and outstanding schools, including grammars, which rank among the highest performing schools in the UK. For more information call 0208 607 0550 or visit www.soresi.co.uk. 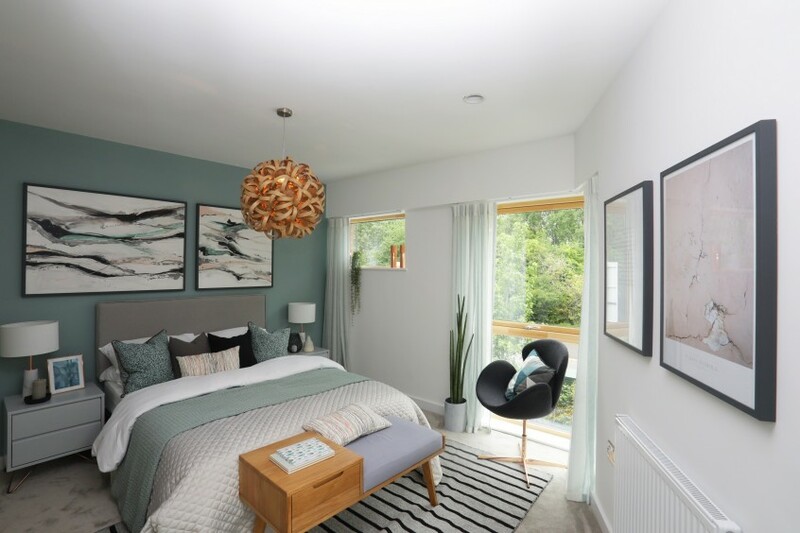 So Resi has launched a contemporary collection of one and two-bedroom, shared ownership apartments in Twickenham – with local residents and those working in the area being given the first opportunity to reserve a property. 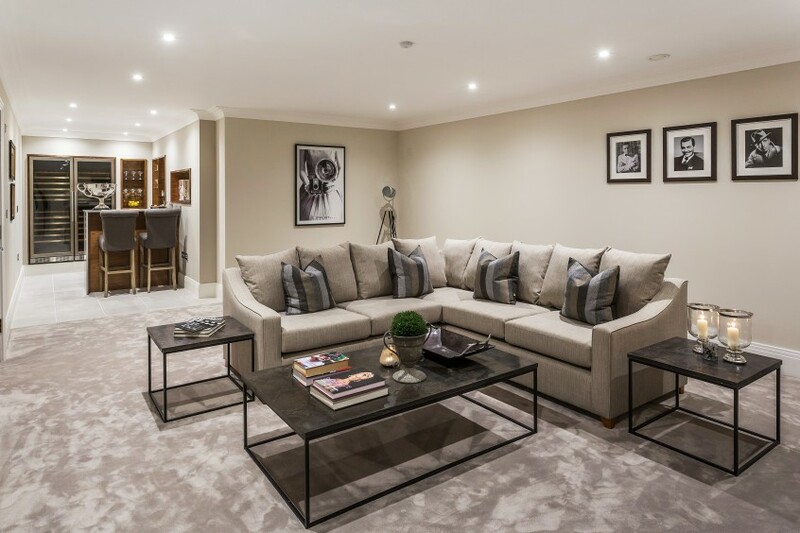 The shared ownership scheme means that homebuyers at So Resi Twickenham can buy a 25 per cent share (£101,250) of the full price of the home (£405,000), requiring just a 10 per cent deposit of £10,125 and paying a monthly So Resi payment on the share they don’t buy. Originally built in the 1960s, So Resi has fully renovated the original building to create a collection of high-quality, modern homes. Each home features floor-to-ceiling windows that allow an abundance of natural light to fill the main living areas, while integrated kitchen appliances and stylish fittings create a contemporary finish. Many residents on the higher floors will benefit from views towards Richmond Hill and Richmond Park as well as Twickenham Stadium, the River Thames and beyond. The development will also include a contemporary rooftop terrace, landscaped with plenty of seating for residents to relax outdoors. The leafy town of Twickenham, the home of English rugby, has a range of shops, bars and restaurants. The high street is less than half a mile from So Resi Twickenham, while Twickenham Station is just five minutes’ walk away. From here, trains reach Richmond in five minutes, London Waterloo in 23 minutes and the City in 37 minutes. We’ve heard and read a lot about how the arrival of Crossrail will impact the property market. With the first Crossrail line set to open next month, entering passenger service between Liverpool Street and Shenfield, Essex, it seems those who have bought along the line are finally set to reap the benefits. However, there’s still time to invest in a Crossrail home, even on a budget! We’ve found a selection of homes available through Help to Buy and shared ownership that enjoy ideal locations nearby to upcoming Crossrail stations. Buyers will find themselves ideally positioned for fast-track travel in and around the capital, and as a homeowner be able to benefit from growth on the value of their property too. 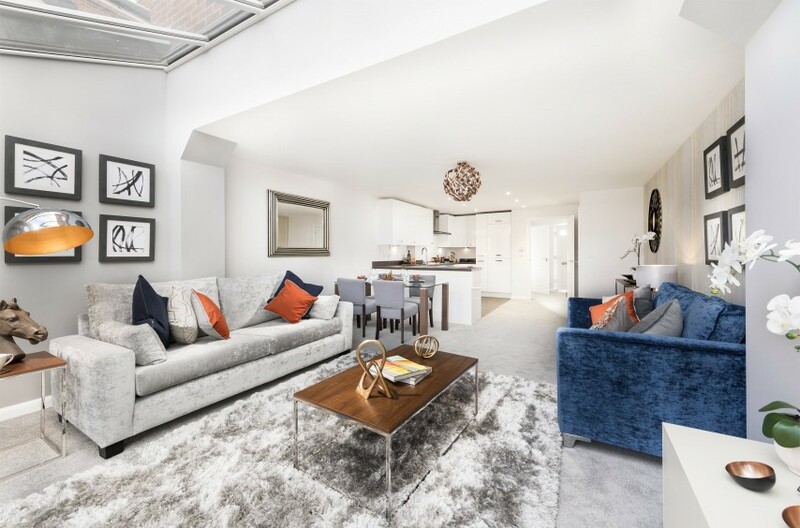 Trinity Walk is a distinctive new neighbourhood of stylish one, two and three-bedroom apartments and three and four-bedroom townhouses, located just a mile from the new Crossrail station in Woolwich. With 12 services an hour, homebuyers from Woolwich will be able to reach Canary Wharf in eight minutes, Liverpool Street in 14 minutes and Bond Street in just 22 minutes, when The Elizabeth Line opens later this year. 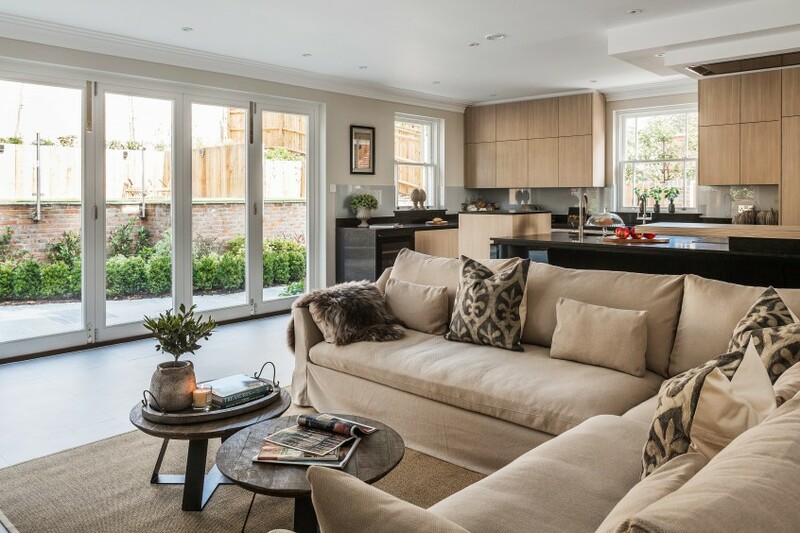 Each home is completed to the same high specification with a private outdoor area and to top it off, London Help to Buy is available which means buyers only need a 5% deposit. 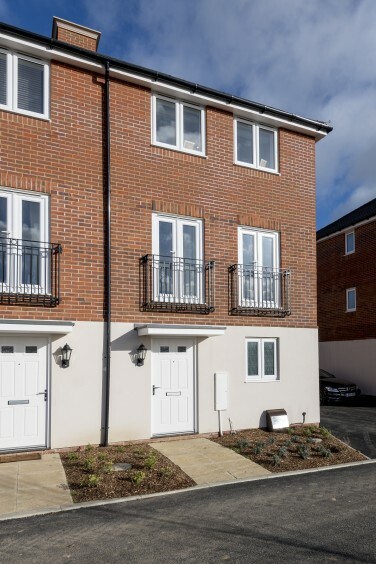 Enjoying a more rural location, So Resi Wokingham will be just a ten-minute journey away from Reading’s Crossrail station which is opening in December 2019, ideal for commuting homebuyers. 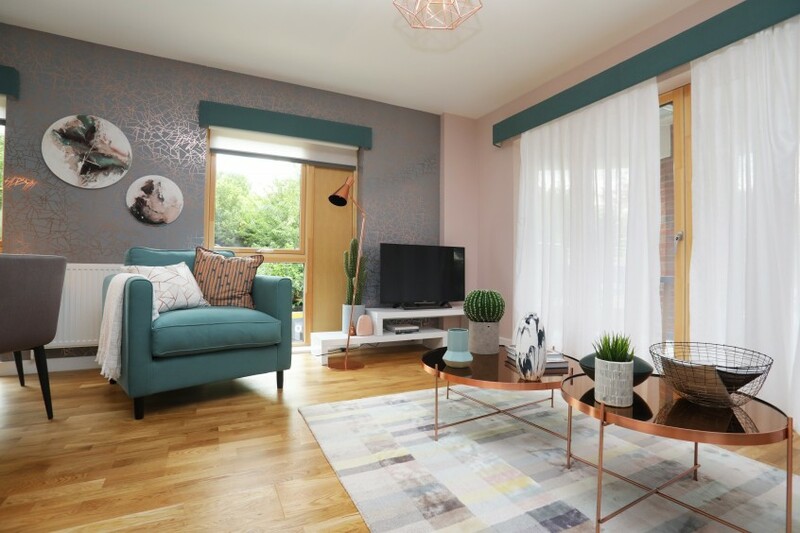 The development comprises a new collection of one and two-bedroom apartments and two to four-bedroom homes in Wokingham which are available to purchase through shared ownership with So Resi. 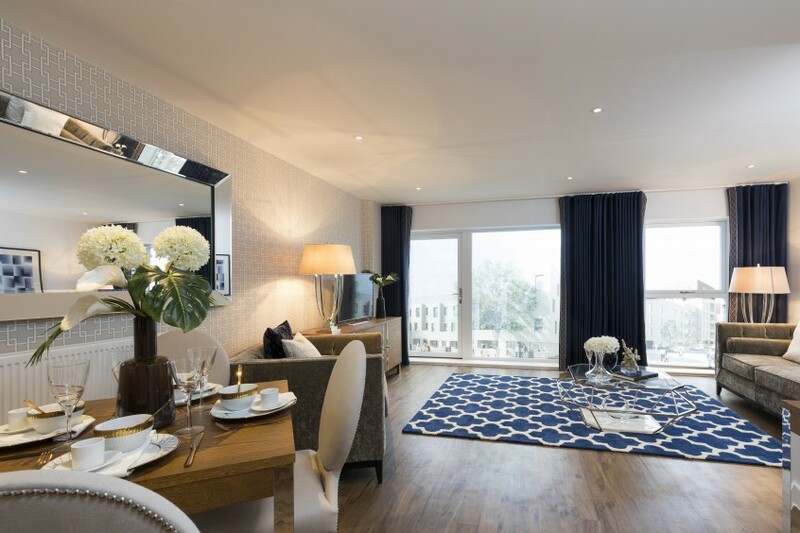 The homes are built to a high specification, with spacious living areas and stylish fittings adding a touch of luxury. New on Property House Marketing’s books this month is this bespoke six-bedroom, four-storey house in Guildford, comprising over 6500 sq. ft., and benefitting from an enviable elevated position just a few yards from the North Downs in Surrey. 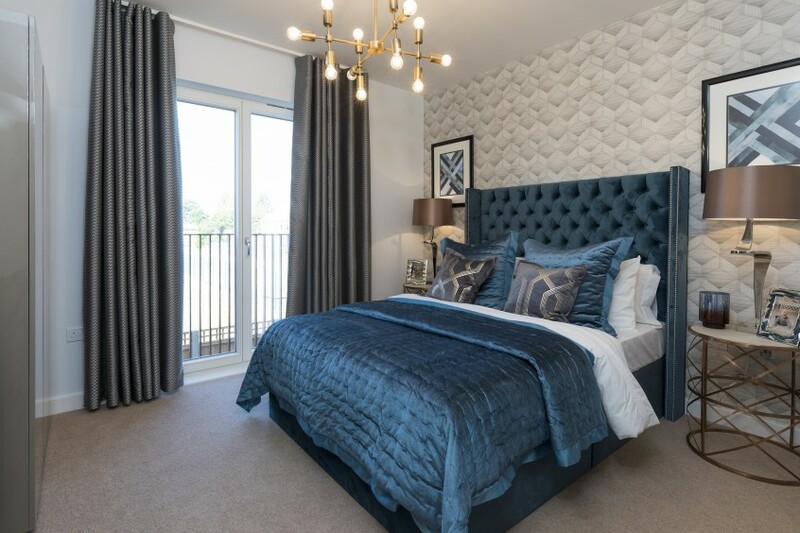 Alongside its picturesque views across the Downs and convenient location – just a 21-minute walk to Guildford train station – the sense of space at Northdowns Heights is what sets it apart from the rest. The home’s expansive living areas are designed not just for family living but for entertaining on a large scale too, with floor-to-ceiling glazing opening onto the rear terrace and extending this space in warmer weather. The hub of the house is undoubtedly the sitting, dining and kitchen space, where each area is clearly defined and the dining and sitting rooms afford extensive views to the front and over the rear garden respectively. 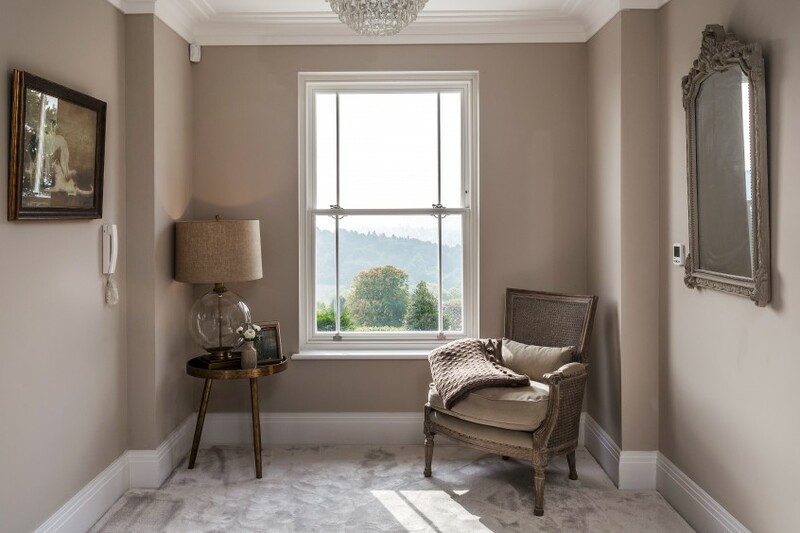 From the dining area, doors also open onto a large terrace from which the fabulous view over the Surrey Hills can be enjoyed over a morning coffee. There is also a formal dining room and study. The leisure and entertaining space doesn’t stop there; on the lower ground floor there is a large gym and shower room as well as a media room that includes a fun bar area. Externally, the expertise of award-winning landscape architect Kevin Murphy is clearly evident; his imaginative yet intuitive design of the rear garden uses a multi-layer approach, making the most of the space by creating distinctive, separate areas and providing a stunning backdrop for the home. Northdowns Heights is on the market for £3.5m. For more information, or to arrange an appointment to view the property, please contact Hill Clements (01483 300300) or email info@hillclements.com. Trick or Treat? We’re happy with either! Take a look at our pick of homes that benefit from clever design and layout tricks, as well as luxurious treats. 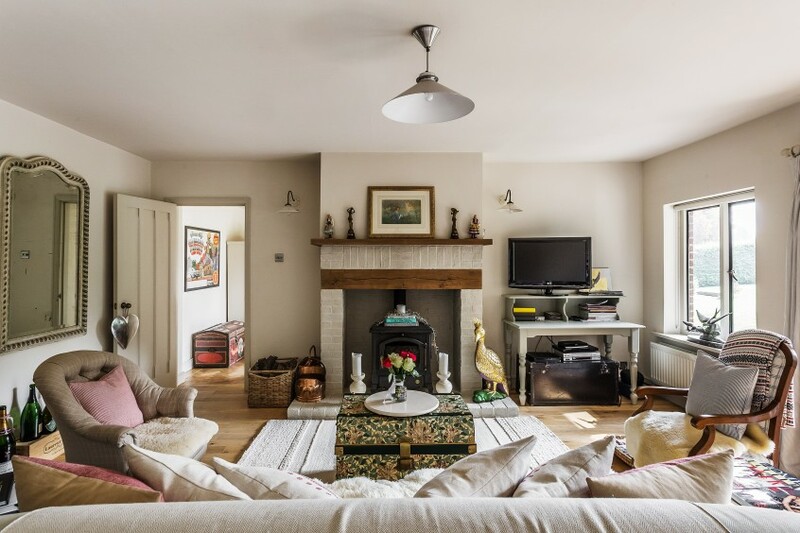 As the nights are drawing in and the cold weather fast approaching, we have picked a couple of our favourite homes perfect for the season, complete with cosy living rooms and fireplaces to smart, energy-efficient features to save on those winter bills. Shere View House is a five-bedroom, three-bathroom family home set within a 0.9 acre plot with stunning views over the adjoining farmland and surrounding hills. Internally, the home comprises a vaulted entrance hall, drawing room, dining room, family room, study, pantry and boot room. 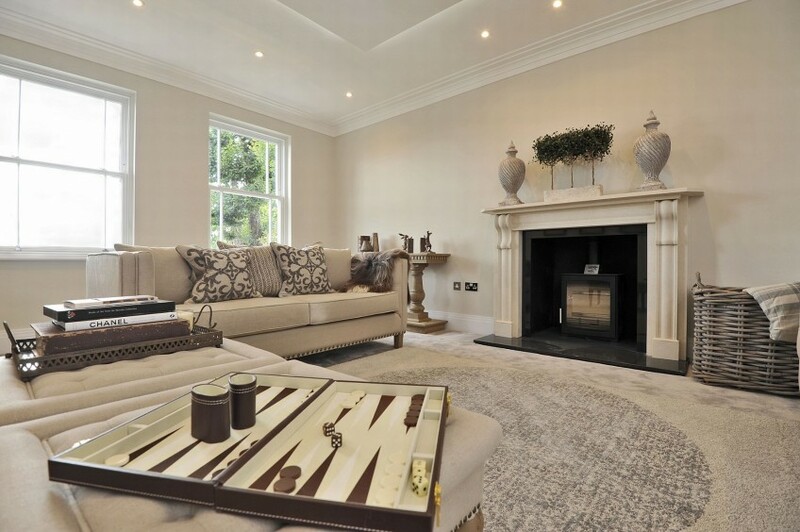 The drawing room features a cosy energy-efficient wood burner, which releases heat slowly through its cast-iron shell. Detached ancillary accommodation is set in the beautifully-landscaped gardens, featuring a mezzanine level, kitchenette and bathroom as well as a detached heritage barn-style garage, car port and garden/machinery store. Northdowns Heights is a beautiful four-storey family home of approximately 6,000 sq ft with extensive and truly spectacular views. 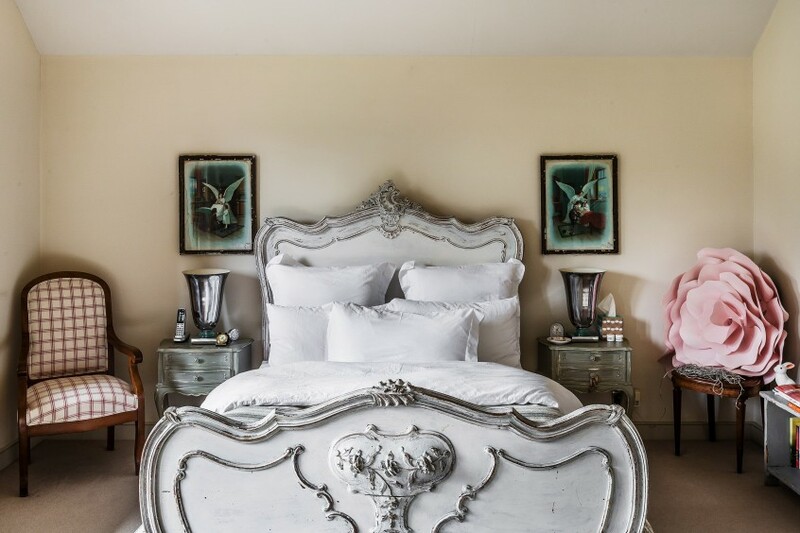 It is ideally situated on a very popular residential road within walking distance of Guildford’s high street and train station (journey times to London Waterloo from around35 mins) and just a few yards from stunning countryside walks in the Surrey Hills. There is underfloor heating throughout with many hidden energy-efficient features including copper-pipe work and a sophisticated heat-recovery system. 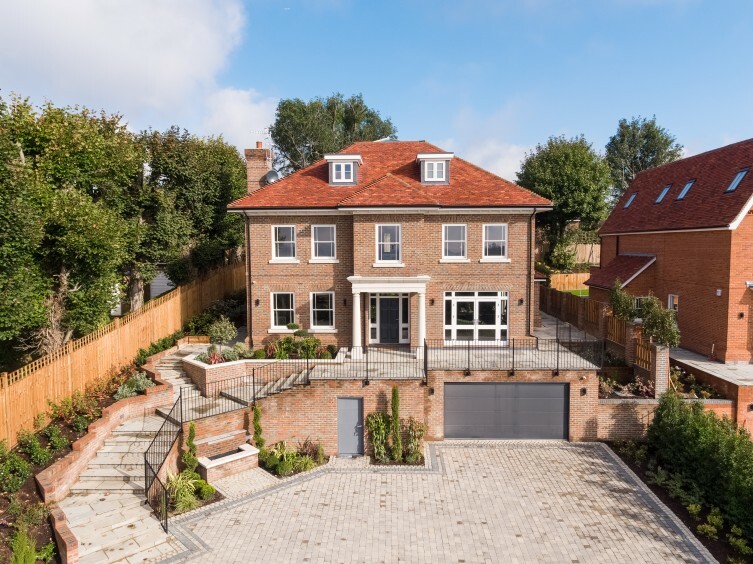 The home incorporates impressive entertaining space including a fitness suite, media room and bar on the lower ground floor; a drawing room, large family sitting/dining/kitchen with large bi-fold doors which open onto a large balcony to the front, and garden terrace at the rear. If you’re an estate agent looking to maximize coverage for your homes in press and on social media, don’t hesitate to get in touch with our team, to discuss how we can help, on 01483 561119 or email info@housegroup.co.uk.